Win a Posh One-Week New Year’s Eve Vacation from Visit London and American Airlines Vacations. Deadline to enter is 1200 hours GMT 18 November 2010. More info here. From Nexos the American Airlines Spanish language magazine: Win 70,000 AAdvantage Miles and a three night stay at Secrets Sanctuary Cap Cana resort on the Dominican Republic’s eastern coast. Deadline to enter is November 30, 2010. More info here. From American Way Magazine: Win 70,000 AAdvantage miles and 5 days/4 nights on the Dutch Caribbean Island Curacao at the Curacao Breezes Resort. 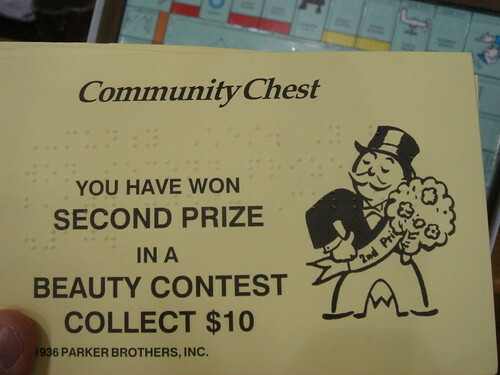 Deadline to enter is November 30, 2010. More info here. From American Airlines: Enter the Make It Epic Sweepstakes for a chance to win a 500,000 AAdvantage miles and a “truly epic and all season-long-ski Experience in Vail, Beaver Creek, Keystone, Breckenridge, and Heavenly”. Deadline to enter is11:59 a.m. EST on November 15, 2010. More info here. From American Airlines: Win an Admirals Club lifetime membership and get a 20% discount code on a new membership in the “Transform Your Airport Experience With An Admirals Club Membership”. More info here. From American Way Magazine: The 9th Annual American Way Road Warrior Contest – A View From The Top sweepstakes. Cast your vote for your favorite finalist, you’ll automatically be entered into a sweepstakes to win 200,000 Hilton HHonors® Bonus Points. The deadline to vote/enter is November 30, 2010 at 11:59 p.m. More info here. From American Airlines and Visit Wales: Win a vacation to Wales: transatlantic flights, luxury accommodation and BritRail passes. The closing date for an entry is 11:59 p.m. EST on Tuesday November 30th, 2010. More info here.